Ends 23:59GMT 15 January 2019 - Play Battleships againt housebot-competition for a chance to win a Raspberry Pi. More info at: Competition Details The bot with the best win percentage over 20 or more games against our housebot-competition will be the winner. Oxford University Minihack. Watch our review video from our Oxford University Minihack We had great fun running a mini-hack from Oxford University. Three Universities, Oxford, Bristol and Glasgow got involved and over 120 players competed. Over 1 million games have been played on the aigaming.com site. 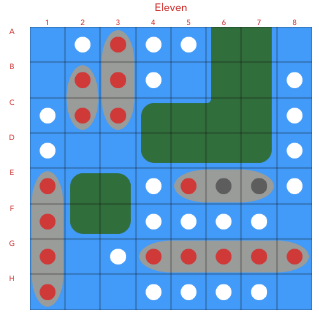 Noughts & Crosses makes it easy for you to experiment with the AI Gaming site. Go to our editor page and load up a template for Noughts & Crosses now. AI Gaming sponsored another great hackathon: The 2017 Hack the Burgh event at Edinburgh University. 2017.hacktheburgh.comCongratulations to Murray and Fraser for winning an Amazon Echo and Raspberry Pi kit with their inventive approaches, and huge thanks to Connor for organising our challenge. AI Gaming is happy to announce that William V. was the winner of the launch competition. After 20,000+ total games played William had 6315 gross winnings putting him firmly in first place. 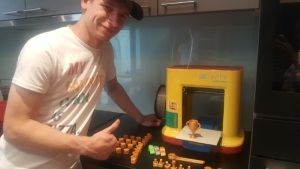 Once he received his 3D-printer William described it as "the best prize I've ever won! Thank you! ".Thank you to everyone who participated and make sure you like us on Facebook to stay up to date with the latest developments here at AI Gaming.